TrenaRapid from the pharmaceutical company Alpha Pharma (India) is a powerful androgenic and anabolic steroid. The main active ingredient is trenbolone acetate. Form release – liquid for injection. 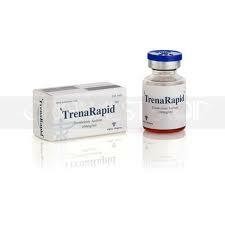 Trenapid Alpha Pharma is a powerful impact steroids, so its use in amateur sports is not desirable. Due to the short ester chain, acetate has a rather short disintegration period, but due to the strength of its activity it remains very popular. The inability to aromatize causes a positive feature of the steroid. If it enters the tissue, it does not cause fluid accumulation and the appearance of gynecomastia. However, it contributes to the active growth of muscle mass and an increase in strength and endurance. burning fat, as a consequence, the removal of excess weight. Among the adverse reactions emit increased aggression, alopecia, hypertension, dysfunction of the sebaceous glands of the skin. To prevent the occurrence of such effects, it is recommended to observe the dosage of administration and the duration of the course. The course TrenaRapid can not be called safe, so before starting the steroid cycle it is recommended to consult with your doctor and check the condition of the body. Although the course is built individually, there are some general prescriptions, recommendations and norms that are valid for all athletes, regardless of their orientation. Acetate injections are performed daily or every other day, the dosage does not exceed 50 milligrams. 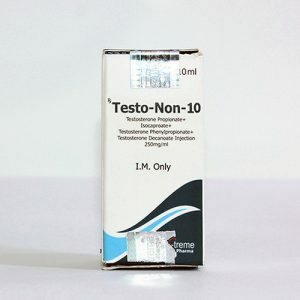 Since TrenRapid significantly suppresses the production of its own testosterone, it is necessary to use gonadotropin on the course (you can stop taking it approximately 2 weeks after the steroid is canceled). The PCT is also mandatory, and starts 2 weeks after the completion of the course. The best means are Clomid and Toremifen. Attention! 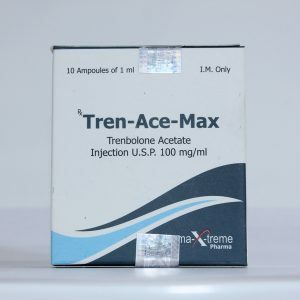 The use of Tamoxifen is highly undesirable, because it further enhances the side effects of trenbolone. Regarding how to take TrenRapid in combination with other anabolic and androgenic steroids, the best combinations are trenbolone with Anavar or Winstrol. The main thing in this case is not to overdo it with the dosages, and not to raise them above the half recommended for the solo course. In general, amateurs do not need combined schemes, they are used exclusively by professionals.